Unsolved: Northeast is the first in an eventual "Unsolved America" series of lectures. The slideshow and talk will focus on some of the more famous unsolved mysteries in Northeastern America. The talk is 90 minutes. 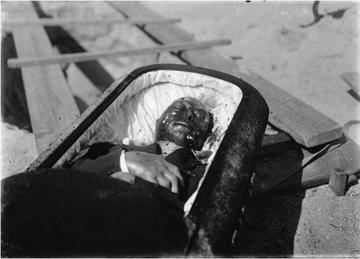 The mysterious death of Dr. William Dean, in 1918, caused a national sensation. The retired Dr. Dean was found bound and gagged at the bottom of a well on his property. The murder was never solved but three main theories emerged. First, the murder was perpetrated by his feeble ailing wife, second, it was committed by his best friend and the third - he was murdered by a mysterious group of German spies whose activities the doctor was about to report to the authorities. In 1919 famous hotelier Raymond Orteig offered a $25,000 prize for the first aviator that could make a non-stop flight from Paris to New York City. 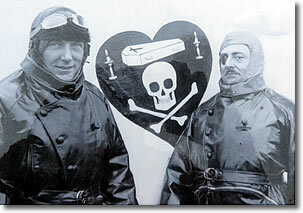 Two French aviators took up the challenge: they were former World War I aces Charles Nungesser and François Coli. They took off from Paris on May 8th, 1927, were spotted over Ireland later that day and never seen again, they vanished, and disappeared from the pages of history. Eleven days later a young American pilot by the name of Charles Lindbergh would make the flight, landing in Paris and seal his name in the collective memory forever. On May 9th, 1927 many residents in northern Maine heard a plane in the foggy sky having engine trouble and one heard a plane crash into the mountains. Over the years different hikers have found parts of an airplane in the mountains near the supposed crash site but no one has ever found an intact fuselage. Could this have been the fate of the doomed flight of Nungesser and Coli? That they crashed in the mountains of Maine and they have yet to be found? The Mysterious Bennington Triangle is a place where as many as 10 people have inexplicably disappeared since 1949. Different theories will be discussed - Serial Killer? Alien Abduction? or interdimensional portal? In 1832 a skeleton dressed in armor was unearthed in Fall River Massachusetts. Who was this person? Was he a Viking?.... An early explorer? .... A Native American? or was the skeleton just an elaborate hoax? 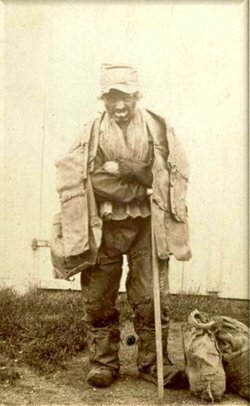 The story of "Leatherman," an itinerant tramp who traveled a circuit between Connecticut and New York is legendary! There are many stories from the people who encountered him over the years but nobody was quite sure who he really was. A romantic story grew up over the years of how he left his native France and his love due to a catastrophic business failure. The mystery of his true identity has continued through the years, even until recently when his grave was exhumed to conduct D.N.A. testing to determine his identity. New York City Judge Joseph Crater stepped into a taxi on August 6th, 1930 and was never seen again. Was it a mob hit? Did he move west to begin a new life? In 2005 new information emerged after the death of a 91-year-old widow of a New York police detective. Has the truth finally been revealed after all these years?